Dear Friend, good day to you. I am a banker with the UBS Bank career in Switzerland, I decided to contact you in a business deal that will be very beneficial to us and our families in the future. I have something very vital to reveal to you, Can you handle a deal worth of $17,500,000.00 ? This is not a bad money, it's a real fund, and it's simply the extra increase I made at the branch when I was a branch manager at one of our branches. If you're interested we will start immediately and just be a reliable, trustworthy and honest person to me by taking your own share of the fund and I will take mine once we receive the fund. I know you can handle the transaction perfectly through my instructions and this will be a very smooth operation. There is no risk involved in this transaction. It is 100% risk free and guaranteed once you follow my instructions and keep everything secret between us. If you're interested I will let know all you need to know about the transaction and what I want you to act. Subject: Fair deal : 60% for me, 40% for you. .
Hello my dear Sir, thanks for your interest in my proposal. 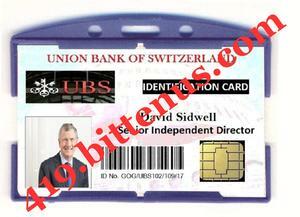 My initial proposal to youwas to brief you on the need to assist me so that we take advantage of this great opportunity which can only come once in a lifetime, I am Mr. David Sidwell, I work with Union Bank of Switzerland (UBS) as Senior Independent Director. There is excess gain available fund $17,500,000.00m. in a fixed deposit without a beneficiary and I had been placed in Escrow coded account with my bank since 2009 for 36 calendar months, and this is not a bad fund, it's a genuine fund, it's simply the excess gain I made in my branch when I was a branch manager in one of our branch, Since the last quarter of 2014 until today, the management of UBS have been finding a means to reach the depositor of this fund since it was deposited unanimously with the name of the beneficiary, The UBS want to roll over the Deposit or have the contract sum withdraw since September 2014-2017, since then I have tried to think up a procedure to preserve this fund and use the fortune and other investment in a different country. As the branch manager then, I decided to take advantage of my present position now to move this fund out for a good investment instead of the bank heads to confiscate it for their selfish use, they are already rich because they get this type of business often and on. The only way to get the fund is to find someone I can trust and I will get your information and will program your name in our bank date base as the original beneficiary of this said fund and then will provide you with all the details you may need to proceed with my bank head office where the fund will be transferring from, and that was the reason I was searching for someone and I came across your contact, I do not have any alternative than to trust you with this transaction fund with the faith that you will be made to receive the money in your account after the processing assisted by an attorney I will give you and then you will keep my fair share for me, however, I am freely giving you full details of this transactionbearing in mind that you will not betray me. This transaction requires utmost trust and dedication from your side since you will be receiving the funds as a contract fund, and shall be in control of the money until I come over for my share, regarding to the sharing, I am under the believe that my sharing ratio is acceptable to you, 60% for me, 40% for you, I hope this is a fair deal. I want you to bear one thing in mind, there is no risk involved in this transaction. It is 100% risk free and secured once you follow my instructions and keep everything secret between us, and you will apply for the claim through a lawyer here in Switzerland. You do not have to come down here in Switzerland for the claim, the lawyer will represent you and handle all the documentation involved. Being once a manager and Senior Independent Director in my bank, the secret of the bank system is under my palm, placing your details in the system as the Beneficiary of the fund, is an easy work for me, once again there is no risk involved, the transaction will be executed under a legitimate arrangement that will protect both of us from any breach of law. Once I receive the above-mentioned information and concludes with my inside arrangements and changes, I shall send you the contact details of a Lawyer you shall contact for the representation, the lawyer in question is good and specialist in such cases, he is also a registered attorney with the Swiss bank, as far as my bank is concern, I will be in control, It has been my dream to have my own company and I believe that God has answered my prayers by creating this opportunity. Please, remember to treat this transaction with utmost confidentiality for our own good. Attached is my bank ID. PLEASE TREAT AS TOP SECRET.